1st April 2010. Have a Happy and Safe Easter Break from the ExplorOz Team. In this Edition: Trek Downloads, What's RSS?, Staff Changes, EO presents Outback NSW Tourism Symposium, and a New Trek - Donnybrook to Augusta via Black Point. The long Easter weekend is now upon us so we wish everyone a great break. For those who are going away, please take care on the roads. If you are not going away why not sit back and watch all the live action of the Canowindra Balloon Challenge from Easter Monday through to Sunday 11th April via EOTrackMe. EOTrackMe is developed by I.T. Beyond for the purpose of live web-tracking of Members - whether you are in your 4WD in the desert, or up in a balloon! The system simply requires your GPS enabled mobile phone to transmit positions at a predefined interval to the EOTrackMe server so that you see the progress in real time. Download Trek Notes for FREE!!! ExplorOz has over 164trek notes covering many well known (and lesser known) regions all around Australia – and if you’re anExplorOz Member, you can download them for FREE!!! At this stage we provide two popular formats, one forOziExplorer/HEMA Navigator users and one for GPX/Google Earth users. Importing and viewing the ExplorOz trek route and waypoints on your device can be very handy for trip planning. Why not become an ExplorOz member and utilise this members only feature!! If you would like to learn about this download facility, please click:Trek Downloads. Good question and it’s probably the one technology a lot of people will find useful if they knew how to use it. RSS provides a convenient way for you to receive content 'feeds' from web pages where the content changes frequently. This can be particularly useful for the latestforum, trader andblog posts. Click theExplorOz RSS page to choose content feeds you would like to subscribe to. If you would like to learn more, check out ourRSS blog. Damian finishes up with ExplorOz on the 16th April. He would like to farewell and thank everyone with whom he's had the pleasure of working with throughout his three and a half year tenure here. “It has been a great experience working with David and Michelle at ExplorOz.com. The time has come for me to pursue my other business interests. 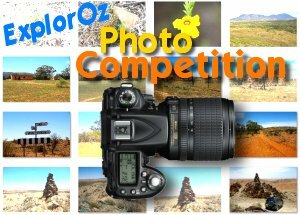 My years with ExplorOz have been so varied and dynamic – it was always challenging and exciting!!! 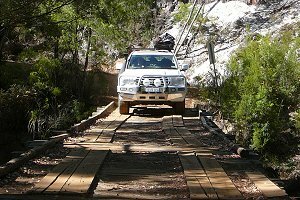 I have learnt a great deal about the IT, 4WD, Caravan and Camping industry, and it has opened my eyes to the vast size and openness of Australia, and the incredible number of amazing places one can go and visit - you really need to get out there!!!”. We are also pleased to advise that Michael has returned to the ExplorOz Team, currently working 2 days per week, moving to 3 days per week once Damian has left. Michelle has recently been on a 9 day tour throughout NSW culminating in a 2 day attendance at the annual Outback NSW Tourism Symposium. This year the event was held in Lightning Ridge. To review details of the conference or to download speakers notes, please view Tourism Symposium blog. To read Michelle's journal of her trip, please view Tour of Duty to Lightning Ridge Blog. One of Australia’s most exciting offers is slowly drawing to a close. The Dometic "Follow the Sun" competition has been touted as the Road Trip of a Lifetime! The major prize is the opportunity for 3 lucky couples to travel Australia on a three-month, pre-planned expenses-paid holiday, and receive a complete makeover of their own caravan or camper trailer with a range of luxurious Dometic and WAECO products. Competition winners will be announced at the Sydney Caravan and Camping Show on the 24th of April 2010. Balloon Joy Flights - The Canowindra Balloon Challenge Festival starts Easter Monday. This is a competitive balloon event where pilots will be flying to a set target where they will drop their markers. Whilst this is a bit radical for serious competition ballooning we will be “trying out” some new state of the art balloon judging. We will showcase some new “live to web” technologies like GPS positioning and Live to web Video. There will be a 50 inch plasma web screen in the main street of Canowindra beaming live video and GPS positions from the balloons. The balloons will be tracked live viaEOTrackMe so you can watch it here on ExplorOz.com or the module embeded into our website. OzHitch - The OzHitch is a very tough 3.5ton rated, specialty off-road hitch, designed for off road camper trailers and caravans. Easy Park Australia - importers of high end car audio products. Talk to George who would be more than happy to help you with any product queries. Turlee Station Stay is a working sheep and wheat station located on the edge of Mungo National Park in outback New South Wales. Tails Up Dog Grooming - Lisa is an experienced dog groomer available to groom your precious pooches.